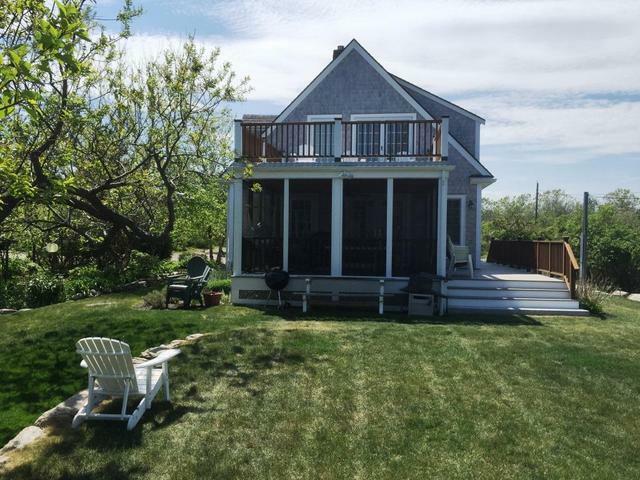 This charming summer cottage features gorgeous vista water views from two large second story decks. 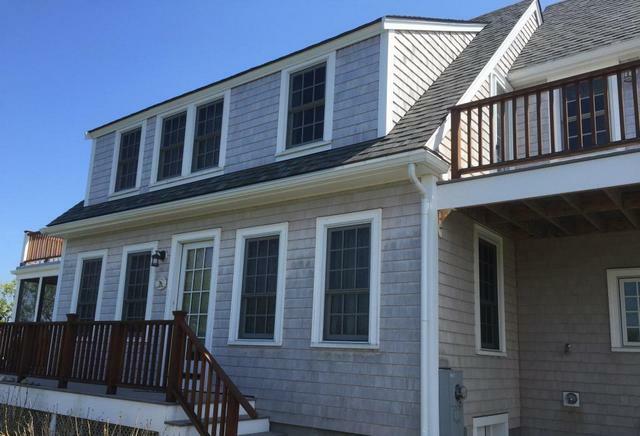 With the new addition, there are 4 bedrooms and 3 bathrooms. 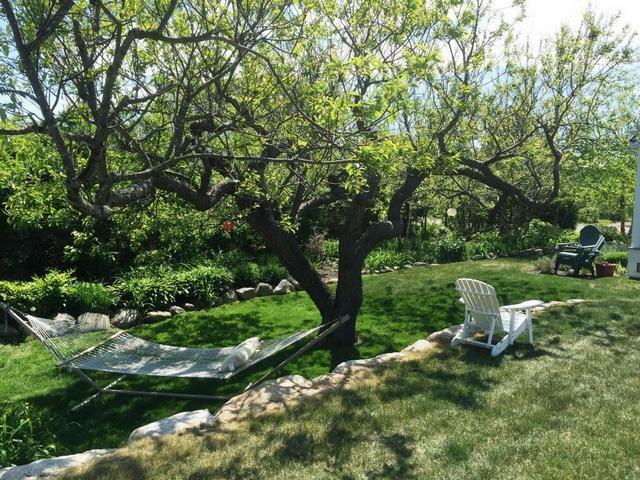 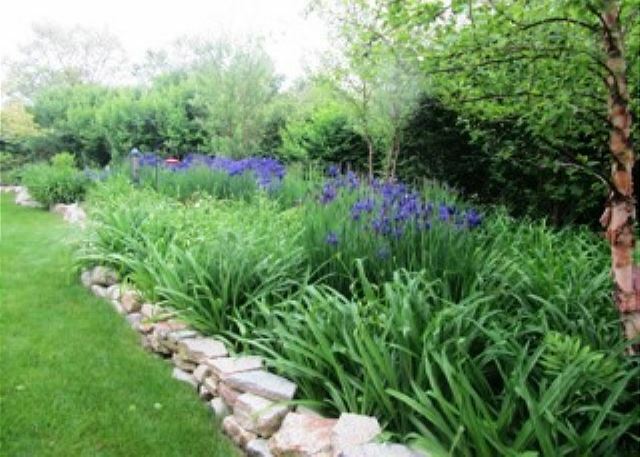 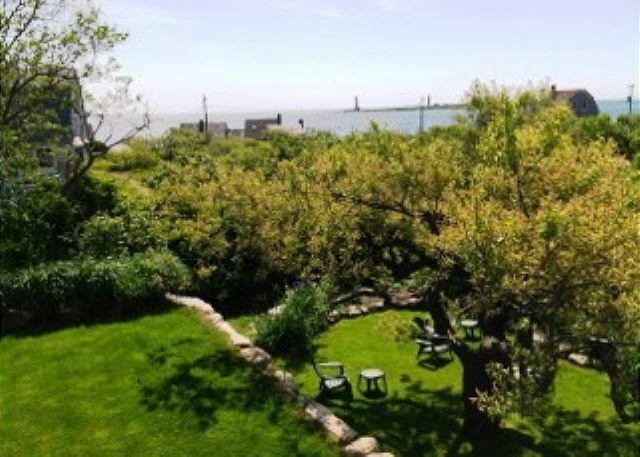 Beautifully landscaped with perennial garden, the house is located in the coveted "south end" of Rockport, about 1.5 miles from the village, the Shalin Liu world class performance center, and Old Garden Beach in one direction, and about 1 mile to Pebble Beach, and a bit farther to Cape Hedge beach in the other. 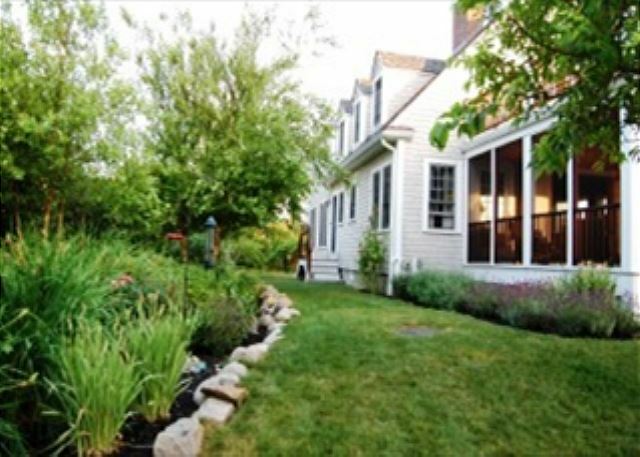 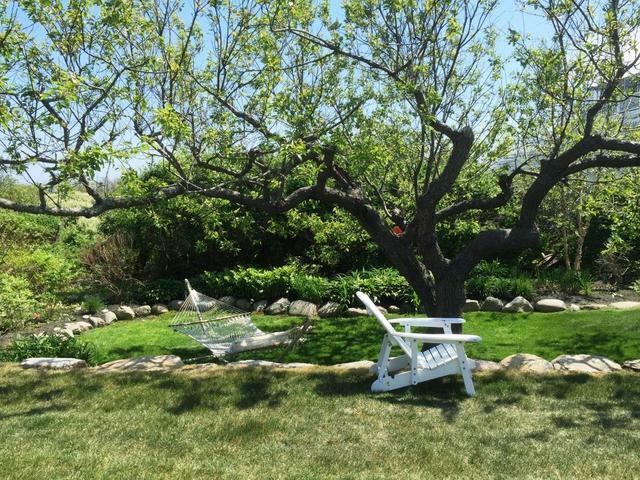 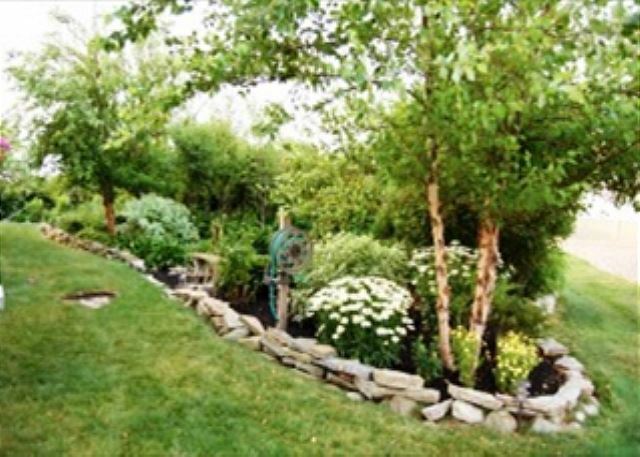 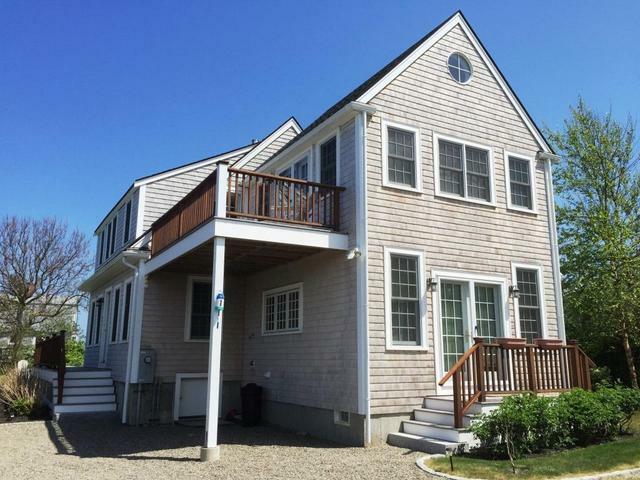 Located in an area famous for its beautiful and serene waterfront walks, the house is well situated to enjoy peace and quiet, or more active and public pursuits of beach or town. 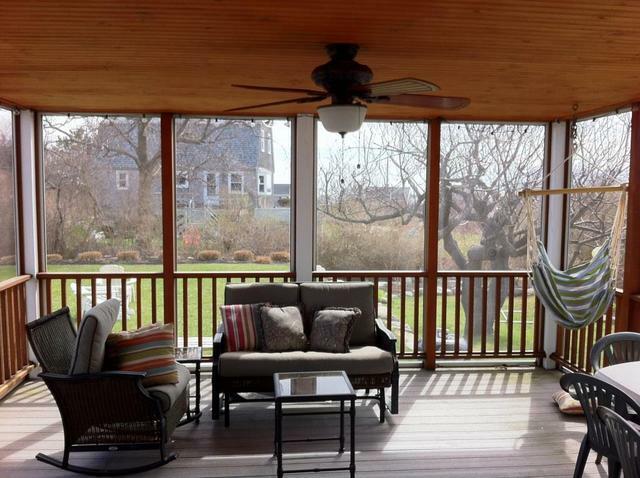 Enter into the original part of the house with beautifully aged wood paneling in the fireplaced living room with a sizable screened in porch on one end. 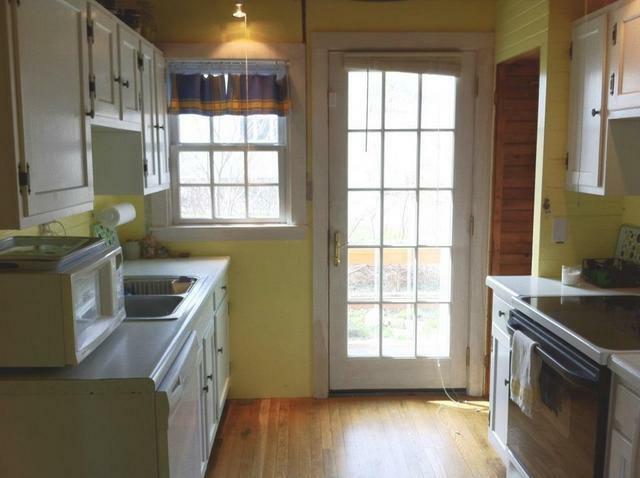 The centrally located kitchen is original and simple with the added modern appliances of a dishwasher, microwave and electric range. 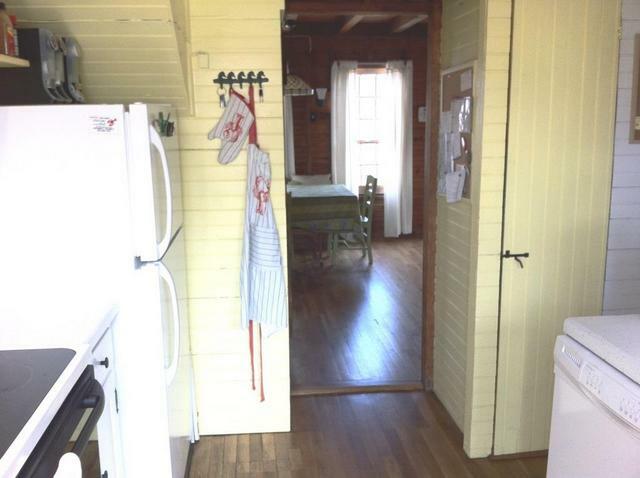 Just down the hall is a full bath with a clawfoot tub with a shower and just beyond this is a double bedroom which has a door onto the screen porch. 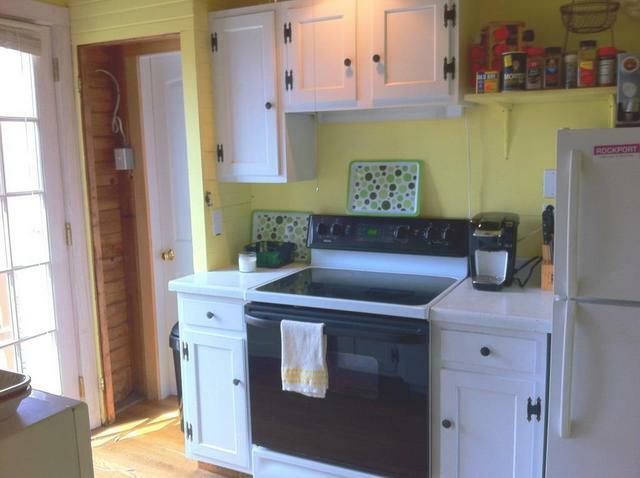 On the other side of the kitchen is the new addition which is a bright and airy family room. 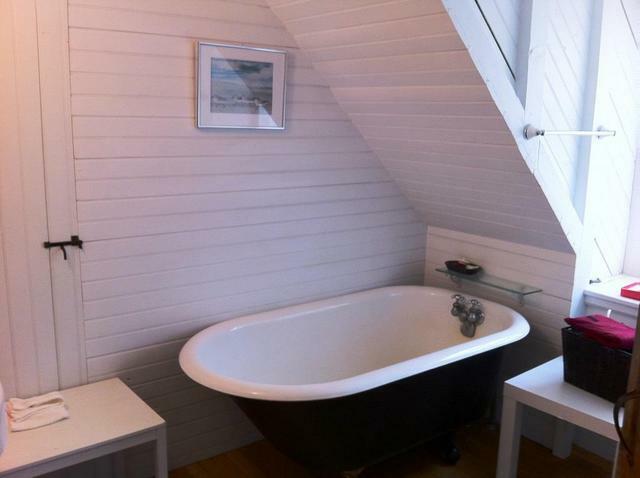 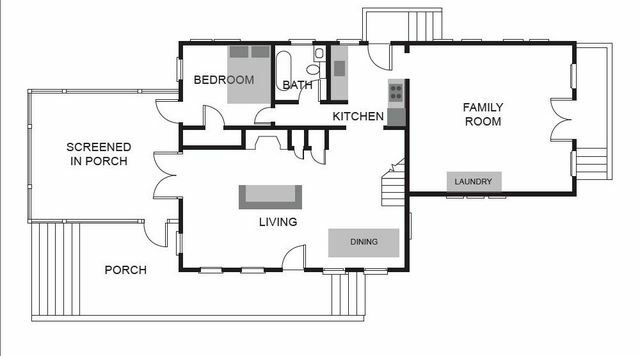 The second floor is home to two bedrooms (single & twins) in the original part of the house, as well as a full bath with a tub. 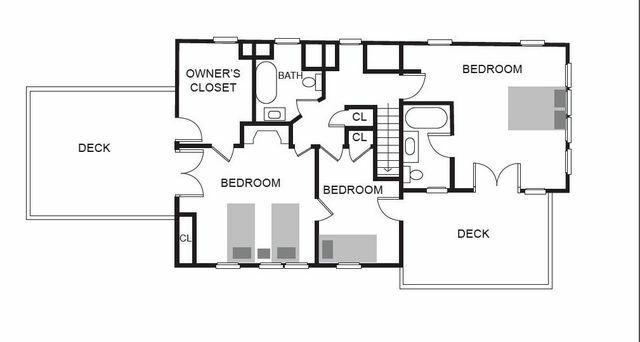 The new part of the second floor houses the queen master bedroom with vaulted ceilings and new full bath with a tub and shower. 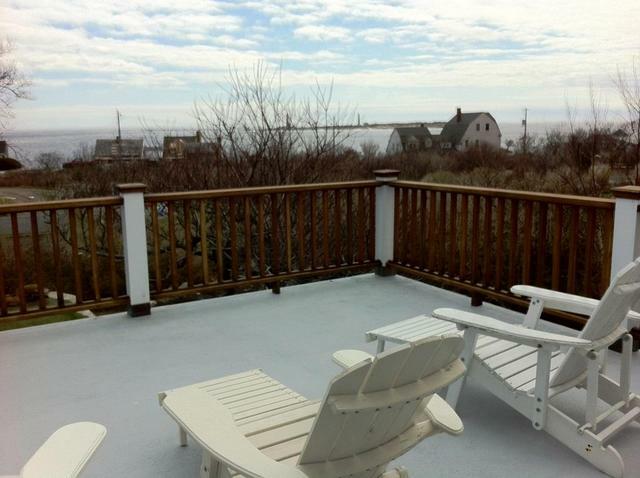 Off of the master is the first large deck which offers views north toward the village and lovely views of the ocean (this deck can also be accessed through the single bedroom). 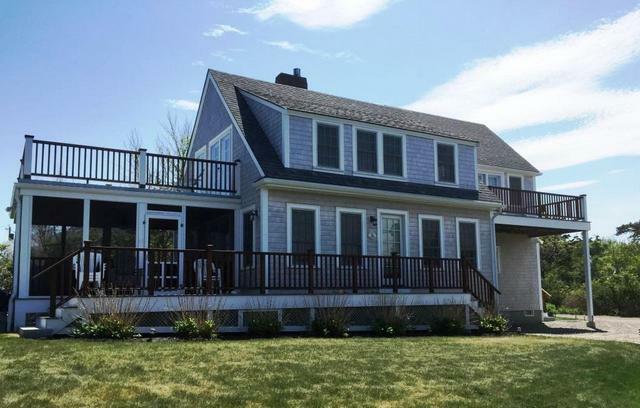 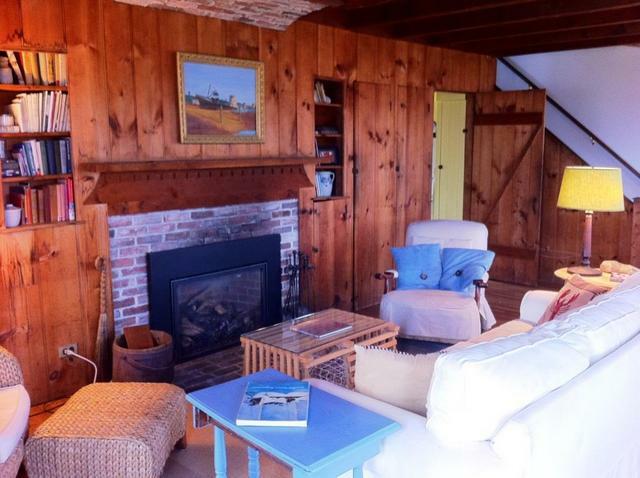 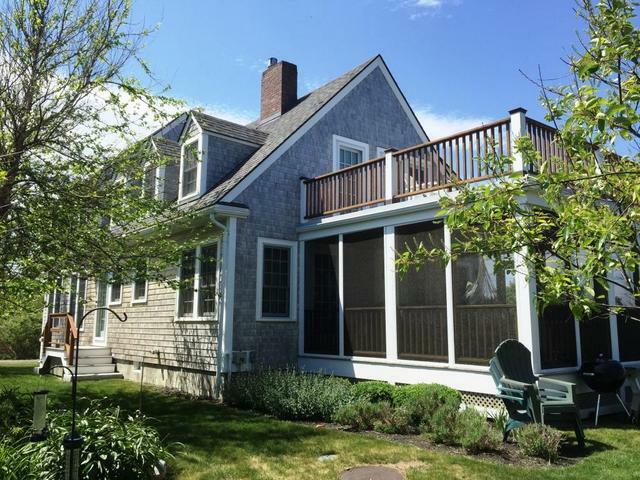 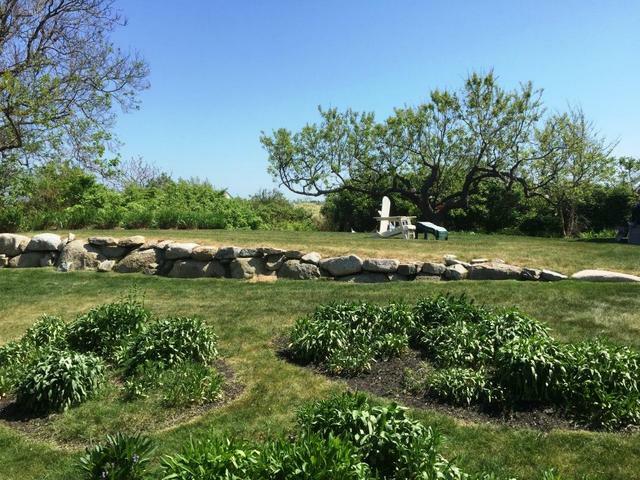 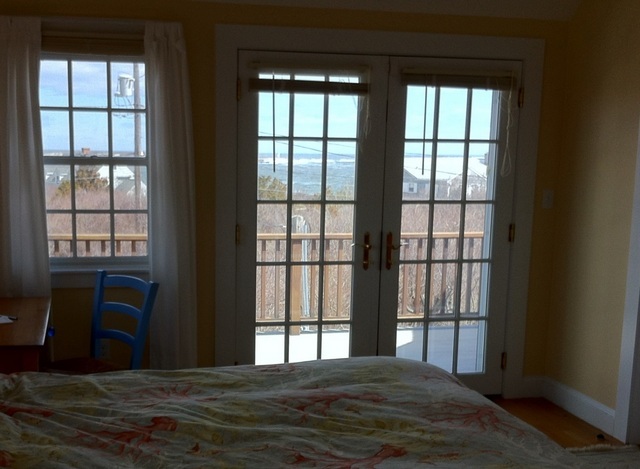 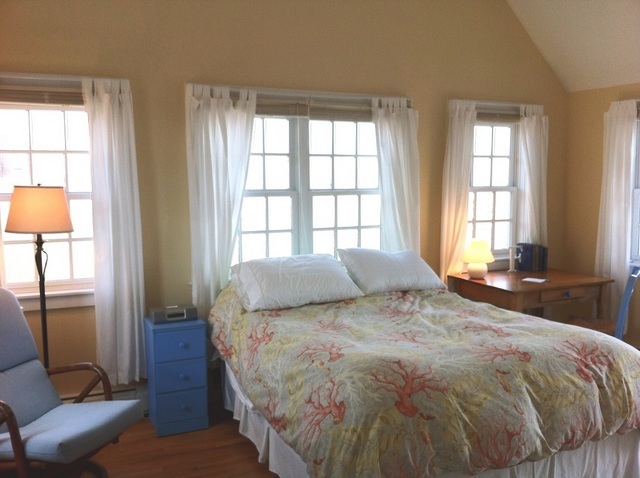 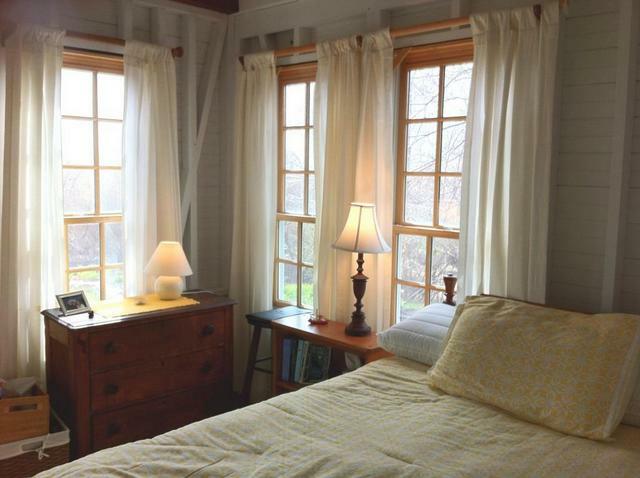 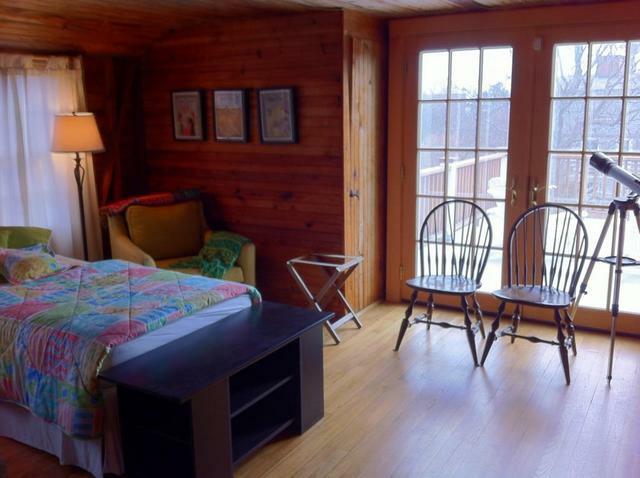 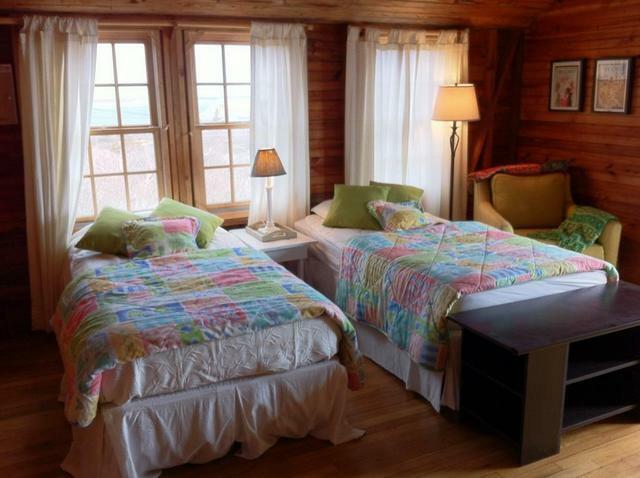 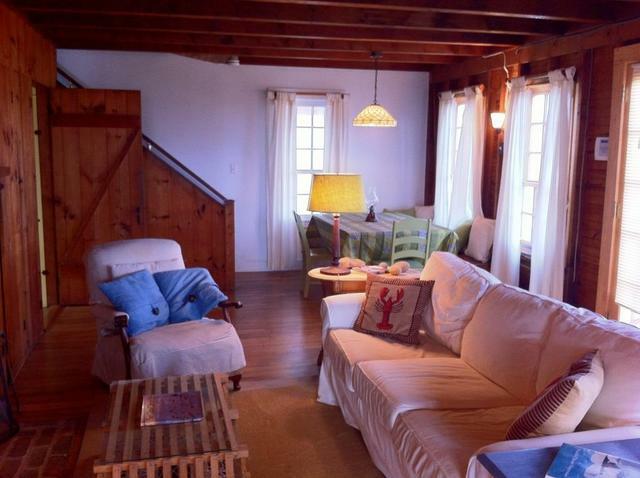 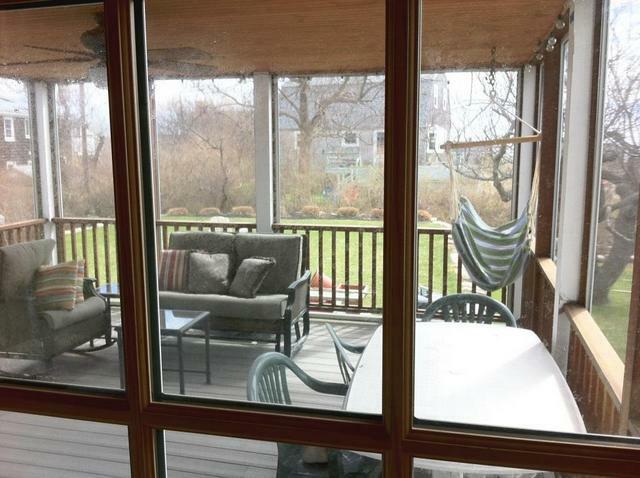 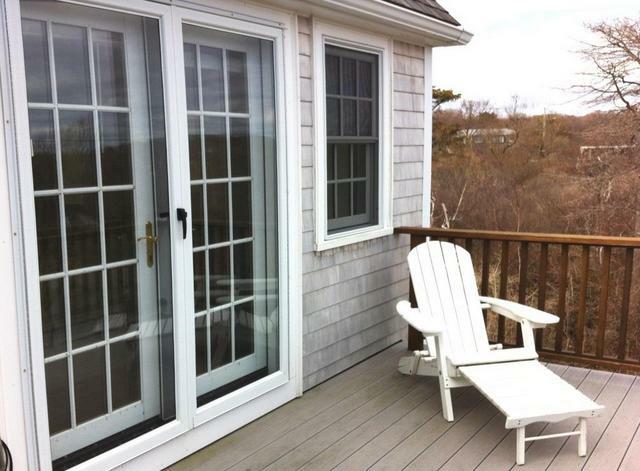 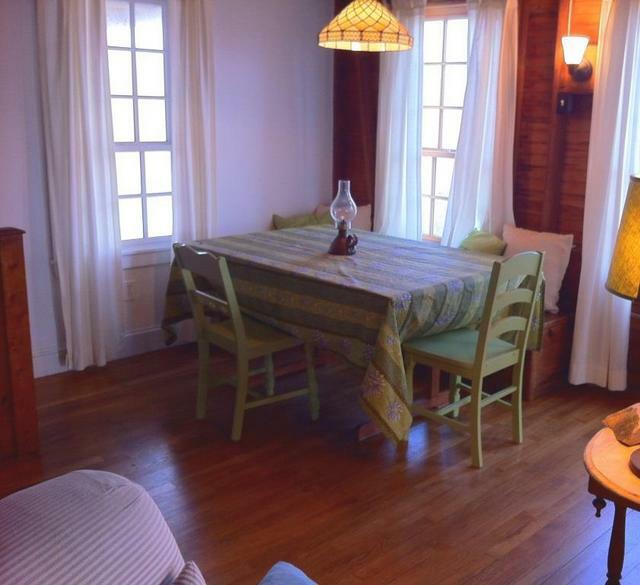 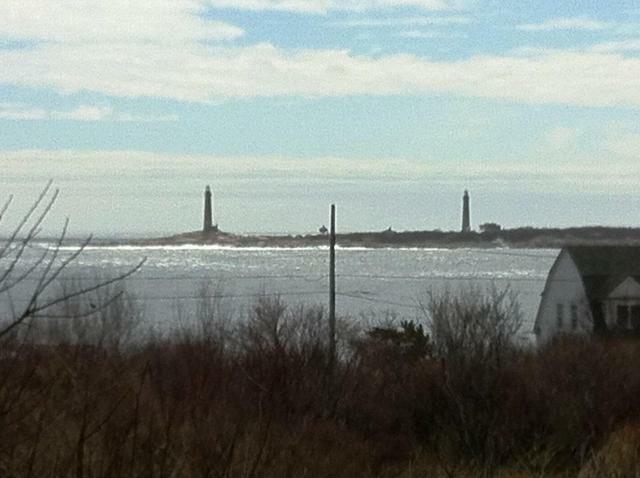 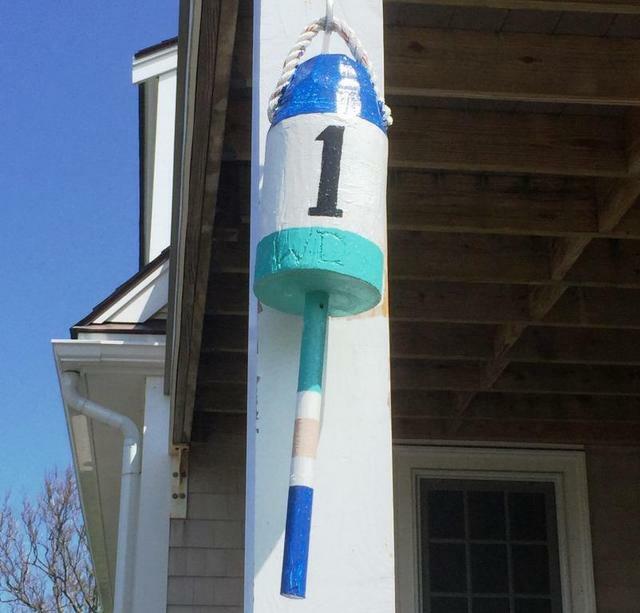 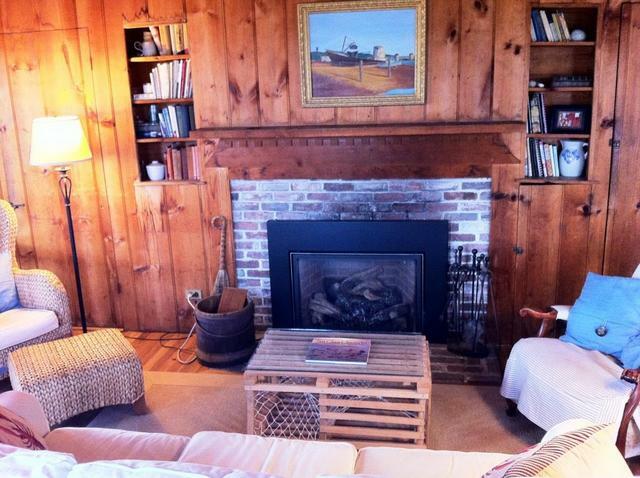 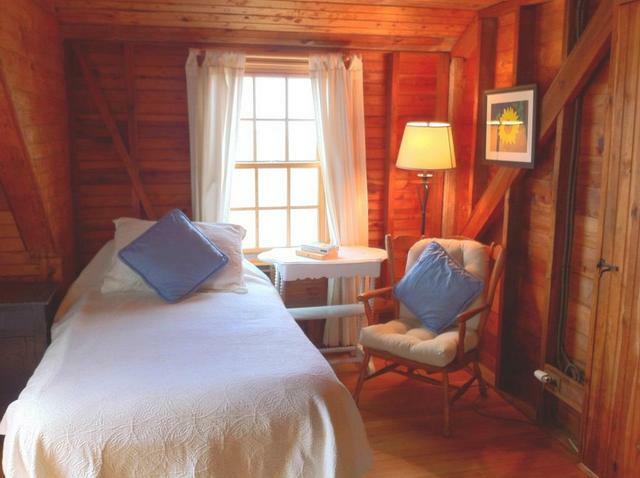 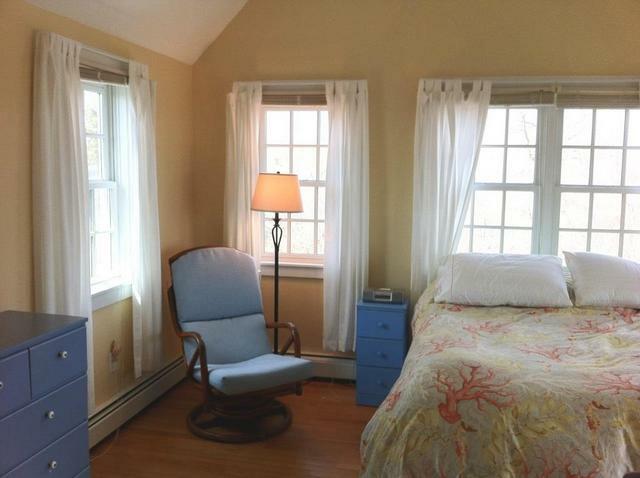 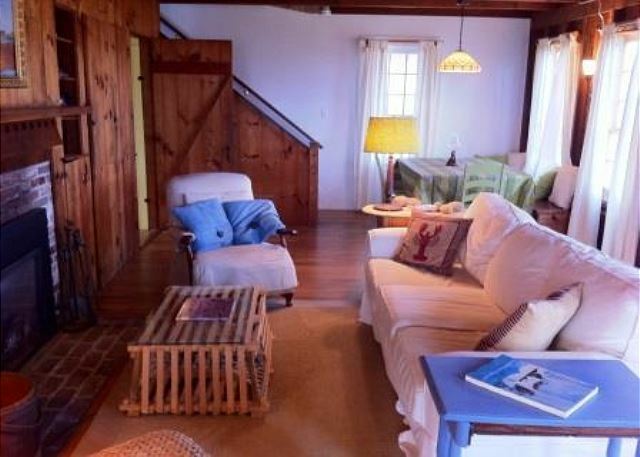 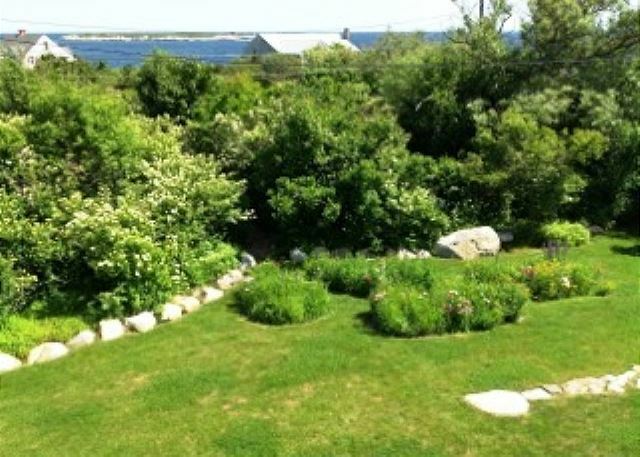 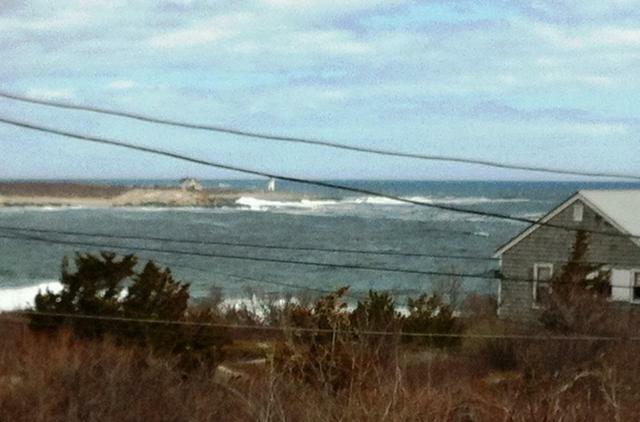 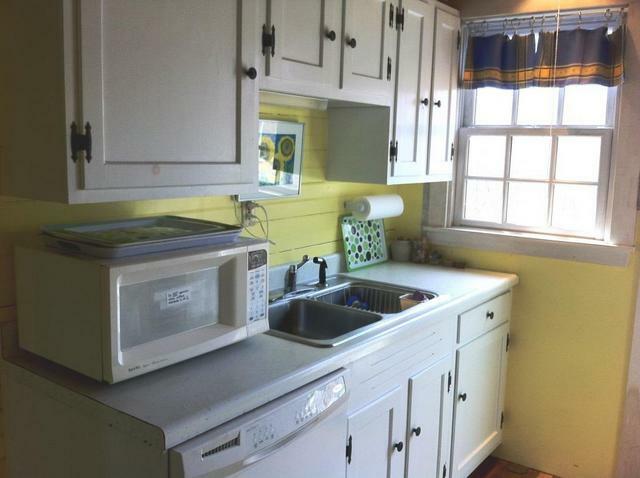 Through the twin bedroom is the door to another large deck which has ocean views that are east and south to include the twin lighthouses of Thacher Island. 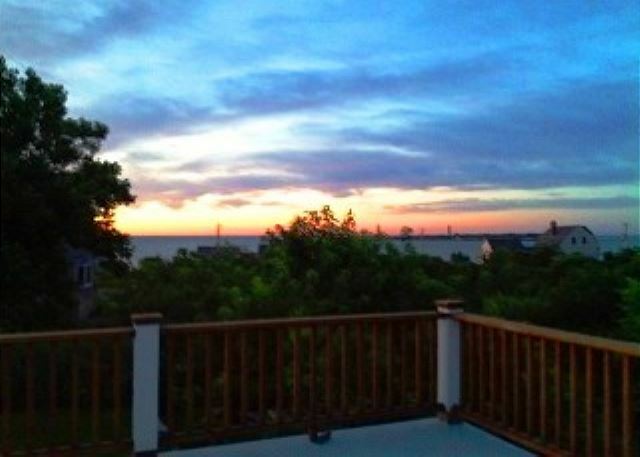 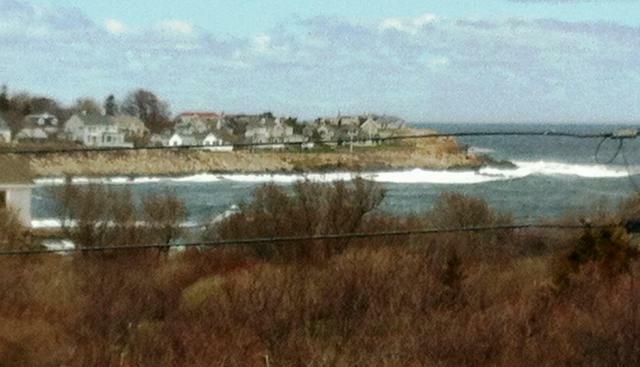 So come to Rockport, and the best of all worlds in your Athena getaway by the sea!